This area is designed for the club members to use as a source of information. We have set out to bring you an overview of the various rules of the game and some etiquette, the list is meant to be informative and is not exhaustive. 1. Players should use the steps provided when going on or off the Green. 2. Bowls should not be dropped on the Green. 3. Do not stand on the verges. 4. Matches, cigarette ends, etc., should be placed in the litter-baskets and not in the Ditches. 5. Bowls should not be kicked in until the shot has been decided. 6. After delivering a Bowl, a player should either retire behind the Mat or advance to the head. He should not take up a position in between. 7. Don't delay the game. 8. Don't wander around or move about the head when a player is about to deliver a Bowl. 9. In a Fours Game, the 'second' keeps the score; in a Pairs Game the 'Skip' keeps the score. 10. Bowling is a friendly game and all players should show courtesy and good sportsmanship. 11. All Bowlers should know the Rules as laid down by the World Bowls Ltd.
12. Mobile Phones should not be used on or around the green. SCOTTISH Domestic Rules - SBA only. Please note the current version of Laws of the Sport of Bowls is the Crystal Mark Edition all other versions are out of date. Law 2 / 2.5 Greens constructed to the pre-April 2000 standard maximum and minimum measurements (132 ft x 120 ft (40.23m x 36.58m) remain valid. 8 .3.4 Lodging a challenge to bowls : The person making the challenge should pay a deposit of �30.00. 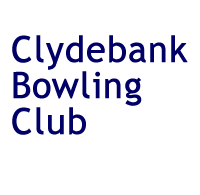 Law 16.3 SBA National Championships; The formats of play for Singles, Junior Singles, Pairs, Triples, Fours and Senior Fours in the SBA National Championships will be. 1. Singles will be 21 shots (shots scored over 21 will not be counted). Four bowls will be played, with each player playing in turn. 2. Junior Singles will be 21 shots (shots scored over 21 will not be counted). Four bowls will be played, with each player playing in turn. 3. Pairs will be 17 ends. Four bowls will be played, with each player playing in turn. 4. Triples will be 15 ends. Three bowls will be played, with each player playing in turn. 5. Fours will be 17 ends.Two bowls will be played, with each player playing in turn. 6. Senior Fours will be 15 ends. Two bowls will be played, with each player playing in turn. Law 16.3 Cities & Counties Championship. The format of play for each of the fours games played between sides competing in the Cities & Counties Championship will be 21 ends. Two bowls will be played, with each player playing in turn. may arise and that do not come within the scope of an Umpire's duties referred to hereinafter, and whose decision shall be final and binding. (c) The Competitions shall be played under the 'Laws of the Game' as promulgated by the World Bowls Ltd.
fee for each Competition shall be held to constitute official entry. players selected must be Members of the Club they are chosen to represent. (b) No player shall represent more than one Club. (c) The Competitions shall be confined to Male Members. (d) Full name and date of birth of Junior Singles competitor to be submitted. Clubs competing in the National Championships are obliged to provide green space as requested by the District Secretary for the completion of the District ties in the National Championships. Boundary threads may be dispensed with at the option of the host clubs. The Local Secretary shall fix the time and Green for each game being played, selecting Greens as centrally situated as possible, and shall give notice of the same to the Secretaries of all the Clubs concerned. The Secretary of the Club on whose Green a tie has been played shall ensure that the score card, duly completed in every respect, is dispatched immediately thereafter to the Local Secretary. In the Seniors' Fours Competition, all ties shall be played on afternoons but, if desired, the final ties in this stage may be played in the evening. The failure of players to appear after a period of 30 minutes, or the introduction of an ineligible player, shall cause the defaulting Club to forfeit the tie to the opponents, provided due notice of the fixture has been given to the Club. If, on the day on which a tie is to be played (other than in the second stage), a player competing in the tie plays, before the commencement of that tie, on the same rink as that on which the tie is to be played, he shall be under penalty of disqualification. The Council shall make a draw of the winners of the First Stage, who shall then play as in the draw till the winners have been ascertained. The thirty-two winners of the First Stage shall assemble at such time and place as may be fixed by the Council to play off in the Second Stage, which shall be continued for three days. The Council shall be the sole judges of whether or not greens are playable, and shall have power to postpone play. In the event of a tie in any of these games, other than singles, an extra end shall be played to ascertain the winners. See Law 58.
the official selection of the Club. Only when a substitution is necessitated by family bereavement shall the player for whom substitution has been made be allowed to play in subsequent ties. In all other cases, the substitute may be allowed to continue throughout the remainder of the Competition. (c) In the second stage one substitute only will be allowed in each competition and this substitute must continue throughout the remainder of the competition. In the Fours, Triples, Pairs and Seniors' Fours, the substitute may be eligibly introduced in any one of the five rounds but in the Singles and Junior Singles no substitute shall be introduced after the first round. In the event of the death of a District winner, due to play in the Second Stage a replacement can be made and this does not count as a substitute. (d) No Player, having already taken part in any stage of the Competitions, will be eligible to act as a substitute at any subsequent stage. In the First Stage, the Clubs on whose Greens ties are to be played shall be asked to appoint an Umpire, failing which the competing Clubs may mutually agree on a person to act as Umpire. time for the tie (either at a later hour of that day or some other day before the due date of the next round) and the parties shall be held to have thereby received due notice of the fixture. The Members of Council and Local Secretaries shall, ex-officio, and, when required, be accepted as Umpires. within forty-eight hours after the cessation of play in accordance with Rule XVII of the Constitution. may be taken at our Championships. It is the individual's responsibility to ensure that any drug he takes is not a banned substance. Pullover and Blazer (if any). 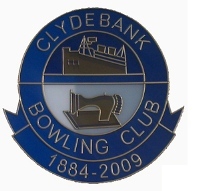 Club Colours must be registered with the SBA prior to the start. (b) The compulsory dress for all Competitions in the Second (Final) Stages is as follows: White Trousers, White Belt (if worn), Collared White/Coloured Shirt, White Cardigan or Pullover, White. Colours must be registered with the SBA. Headgear (if worn) also Blazer (if any), White Waterproofs. No deviation from White shall be allowed except in the case of a club who has already registered its colours with the approval of the governing body. Officials and Players must wear Brown, White, Grey or Black bowling shoes on the Green. (e) The minimum width of a rink to be not less than 5m. The minimum length of a green in the direction of play to be not less than 34m. First Prize Custody of Cockburn' Trophy for one year. Second Prize Three Medals and �250. Third/Fourth . Three Medals and �125. First Prize Custody of Evening Times' Trophy for one year. Third/Fourth Two Medals and �125. First Prize. Custody of 'Rosebery' Trophy for one year. Second Prize. Medal and �250. First Prize. Custody of 'J.B. Richardson' Trophy for one year. Second Prize. Four Medals and �250. Third/Fourth . Four Medals and �125. First Prize. Custody of 'Dewar' Trophy for one year. All District Winners will receive a Scottish Association Badge, with Inscribed Scroll attached. All District Runners-up will receive a Scottish Association Badge with Inscribed Scroll attached. Custody of 'A.H. Hamilton' Trophy for one year, and Andrew Hamilton Trophy Badge with appropriate Scroll attached, to each player in Winning and Runners-up Teams.